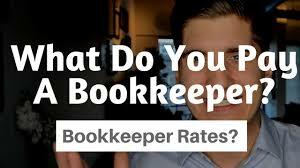 Our actual cost for bookkeeping is a contract rate and is 3.8% across the board. This rate will apply from January 1, 2019, replacing the old rate of 2.4%. Where the church gives tithes to the Gilgal covering, we will pay 50% of that or 1.9% and each church will pay 1.9%. Where there are special offerings given, which means that the tithe is not given, Gilgal will be recuperating the total bookkeeping cost which will be 3.8%.